Content Update, Frostgale Fjord, Now Live! The new content update and Frostgale Fjord are now live! 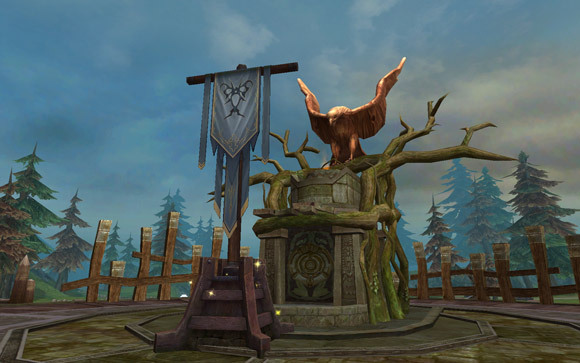 In the addition to the 12v12 Frostgale Fjord Battlefield, the update includes expanded Soul Power Trees, new weapons, new guild treasure and guild quests, and more! Check out the full patch notes below. -New 12v12 Battleground located in the far north of Oeste. 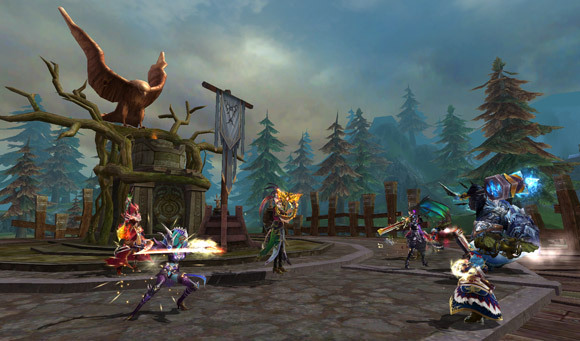 -Enter the Battlefield by queuing in the party finder between noon and midnight every day. Individual apply only, groups will be dissolved upon entering the Battlefield.  -Matchmaking is randomly determined and based on character Level. All characters at or above Lv40 are eligible to play the Battlefield. Only the first 10 matches in a day will count for points. -Matches last 25 minutes, or until one team reaches 3600 points. -All participants will receive Battleground points, players on the winning team will gain more points. Daily quests within the battleground will grant extra points. Wins and participation will also grant a chance at a White Rune or a rare mount. -Additional Soul Power skills are enabled that affect PvP and Soulforce skills. Unlocking these skills will enable White Rune slots. -Guild Treasure can now be unlocked in the base! Complete Guild Base Quests to unlock the Treasure chest and gain access. -New Guild Base quests have been added that do not require leaving the base. These quests also have a chance to grant access to the Guild Treasure chest once it has been unlocked. -Continue doing Base Quests every day to level up your Guild Treasure for better rewards! The chest is reset every week so you will need to stay active to continue to get the benefits of Guild Treasure. -Rewards from the Guild Treasure Chest include Soul Coins and a chance at Gem Light potions and various Level Gems. -Fashion Upgrading is now available at Armorers to add stats to all fashion pieces. -Inferno Shadow Gear: Talk to Arwen Starlight in Twilight Hall with a Lv75 Hero Weapon equipped to start the quest Glimmer of Hope. At the end of the quest unlock a powerful new Lv77 weapon. -New Charlie's Tavern Quests in Nightfall Citadel. Find out how the building of the new tavern is going with a new quest line, finally get some answers about the mysterious pole in the corner of the tavern. -Pets are now easier to heal. AoE heals will now include pets, and a bone icon appears under party member's portraits to quickly target their pet.Pets can also now be healed with potions when they are hungry and cannot be summoned. -If a player sets a durability limit for the Combat Assist, they will automatically town portal when their gear hits the selected durability. -Mining Truck in Immortal Rift is now faster. -Soulforce Skills now have a 30second Cooldown in PvP. Some of the new Nyos/Dyos Soul Power skills and runes will make Soulforce more useful in PvP. -A large number of Guide Quests now have a 1 time Soul Leaf reward. You will automatically gain the Soul Leaves for previously completed Guide Quests upon logging in. -Mercury revelations will now drop one mercury coupon and 5 gold instead of 6 mercury coupons. -New Bounties are available through the Master and Apprentice menu. Higher level Bounties will become available after gaining more dedication. -Masters now gain Bounty Glory for helping apprentices with Dangerous Bounties. Bounty Glory can be exchanged for Advanced Runes. -Embedding, Removing, and Combining Gem functions have been moved to Jane Morningstar who stands next to Gabriel. 12v12 Frostgale Fjord Battlefield Guide! 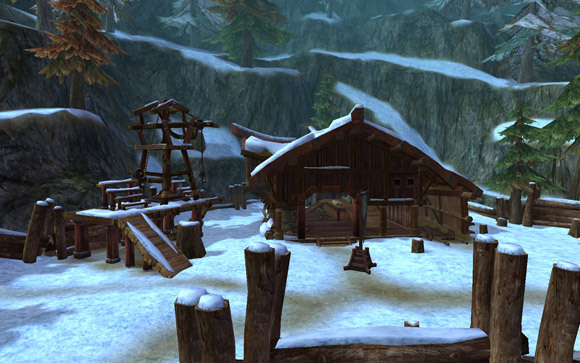 The 12v12 Frostgale Fjord Battlefield is coming soon, are you ready? Check out our guide on the upcoming battlefield and get ready for battle! Fee-fi -fo… Frostgale Fjord? Welcome to another installment of the player’s guide to all things Eyrda! Today’s topic will be on the latest addition to the world of battlefields—Frostgale Fjord! Hidden far in the icy north of Oeste, this 12v12 battlefield calls all the warriors of the continent to fight for a chance at acquiring the relics of the Archmage Kanutus. You can be sure that no one is going to go down without a fight, or at least, hot cocoa! Now, you’re probably wondering to yourself how one might enter this new winter wonderland, so I’ll let you in on the secret! 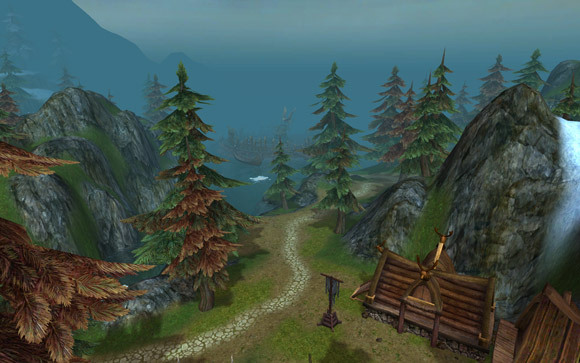 Every day, between the hours of 1200-2400 (or 12 noon to 12 midnight for those not versed in military time), players can individually register for the event by going to the Party menu and clicking the handy new Battlefield Instance tab, selecting “Frostgale Fjord” from the list, and pressing the “Apply” button in the button left corner of the window. Not too hard, right? Just remember, you have to be Lv40 or higher to apply! For some additional information on rewards, select Frostgale Fjord and click the “View” button beside the Apply button, but we’ll get into that in more detail later. Once enough players are queued, a window will pop up asking you whether or not you’re sure you want to make the trip to the Fjord. Note: Forstgale Fjord is a Solo-queue Instance. 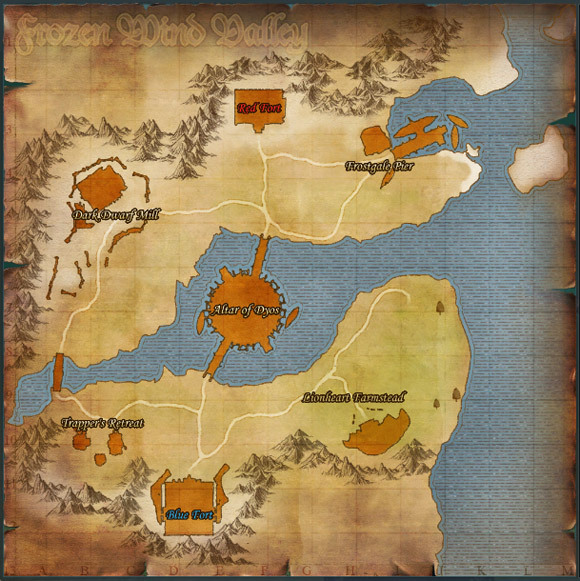 You can meet up with your party and guildmates after, but once you enter the Fjord, you’ll be randomly assigned to either the red team (Go red team!) or the blue team (Go blue team!). First to 3600 points wins! Or at least, whoever is closest after 25 minutes. If you’re at all familiar with the Immortal Rift, a few of these rules will be familiar to you. Also, as cozy as your base might be in this climate, it’s a bad idea to stay in it for too long. A tent icon will appear in the buff corner if you hang around in your spawn for too long, and when that buff stacks to 5, you will be booted from the battlefield like someone hit with so many boots. So many boots! And you should also know that skills which grant Invisibility and Invincibility will not work near flags. Don’t look at me—I don’t make the rules, I just paraphrase them. If you ever forget these rules, hover your cursor over the banner on the scoreboard (or click it and then press the “Rules” button) to read them again. 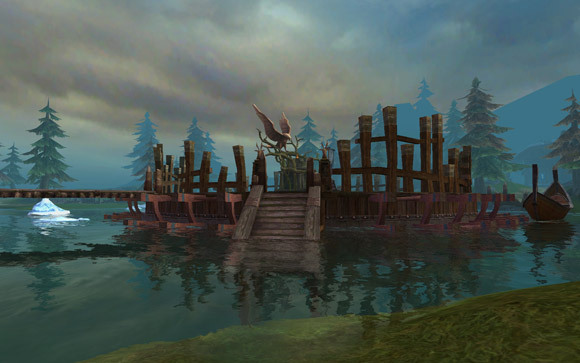 There are a total of 5 flags in the Fjord for your team to capture at the following locations: Lionheart Farmstead, Trapper’s Retreat, Dark Dwarf Mill, Frostgale Pier, and the Altar of Dyos in the center of the lake. If you’re ever unsure of where you should go next, pull up the Map and captured points will be color coded depending on who has claimed them. If they’re white, they’re up for grabs! 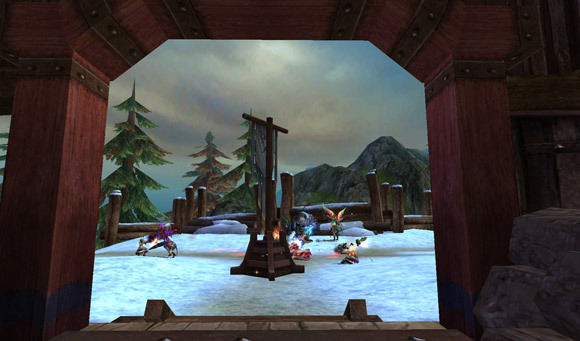 The two NPCs stationed in Frostgale Fjord are the Combat Masters Vic for the Red Team and Robert for the Blue Team. From them you can purchase potions for your Health and Mana, review some of the rules, and even accept a quest! From the Combat Masters you can accept the quest “Combat Specialist,” which gives you two different quests you can do, and satisfying the requirements of one will complete the Combat Specialist quest. The two quests for Combat Specialist are Flag-Catcher and Team Slayer. For the former, be a hero and capture a flag for your team! For the latter, become the other team’s worst nightmare and take out five of their players! Your teammates’ kills count for this score, so don’t be afraid to share the glory! These quests are once a day only. If you complete the quest objectives before actually accepting the quest, it will still count, so don’t worry if they suddenly disappear from your Quest window. Red/Blue Guard: If you hang tight to your base, your Health and Mana will be restored by the buff. Full Charge: If you stay in the base long enough, you have a chance to get this buff which will temporarily increase your movement speed, attack, accuracy, and evasion for about 15s. Be careful though—you don’t want to get booted for camping! Lost in Thought: This debuff reminds you not to get too comfortable in your or your enemy’s base. If it stacks to 5, wish your team luck, because you’re flying south for the winter. Battle Wrath: If you’re getting wrecked out there, don’t worry. Every time you die, you’ll get a small boost to your Health and Attack, but before you get too cocky with your newfound power, know that you lose it after you kill an enemy! Frontlines: Sometimes just being there is all it takes. You’ll gain EXP while everything else is going on. Carnage Speed: Run like the wind! Or at least, 60% closer to the wind! Evasion will also go up by 30 for a grand 20s. Carnage Wrath: They won’t like you when you’re angry, especially when this buff increases the odds of going into Wrath while attacking for a whole 20s. Carnage Rest: For 10s you’ll recover Health and Mana, but if you get hit, the buff, she will be gone! Blue/Red Sword: Remember how I said clinging to your base would patch you up? Clinging to your enemy’s base does the opposite. It does the opposite for 10,000 damage. Naturally you’re curious about what there is to be gained from all of this, so of course I won’t leave you hanging. For starters, let’s back up to the window where we applied for the Instance (Party Settings window>Battlefield Instance). At the end of each round, you will receive a certain amount of Battlefield Points relative to performance, whether you won or lost, completed quests etc. On the right side of the Battlefield Instance tab, it will keep track of how many points you have total. Points Gained will be the amount you’ve gotten that day, and it maxes out at 3000 per day. When you’ve won your first game of the day, you have the option to click the little treasure chest icon which will reward you with Battlefield Points, Soul Coins, and even Brilliance of Glory which is used to upgrade Inferno Shadow items! “But what do I do with these Battlefield Points?” you might ask. I might answer—In fact, I will! Next stop, Nightfall Citadel! Take a trip down to the Hall of Glory where you can meet your new friends, the Quartermasters Dorin and Avari. 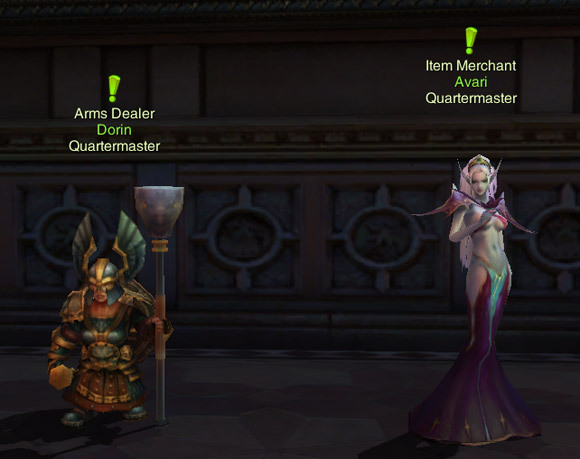 If armor and weapons are what you’re looking for, Dorin’s got you covered, or if you’re in the market for accessories and runes, Avari has the selection you want. Dorin you’ll pay in Battlefield Points, and Avari takes points for items, and then asks for the runes you get as a reward from Frostgale Fjord to exchange for higher level Rune Boxes.